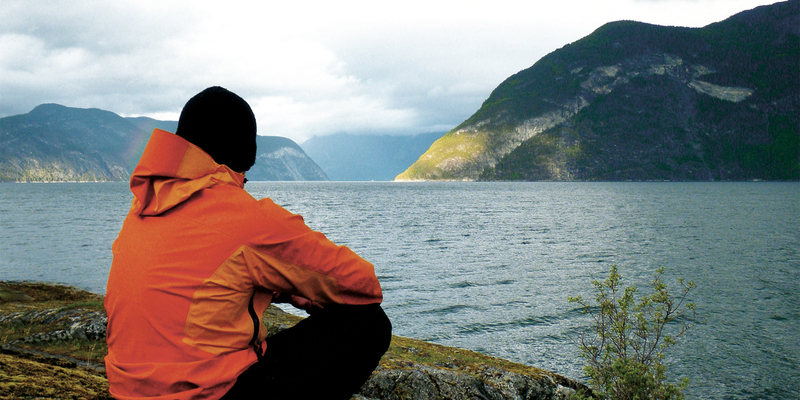 This expedition starts in the innermost arm of the Sognefjord, Lustrafjord. 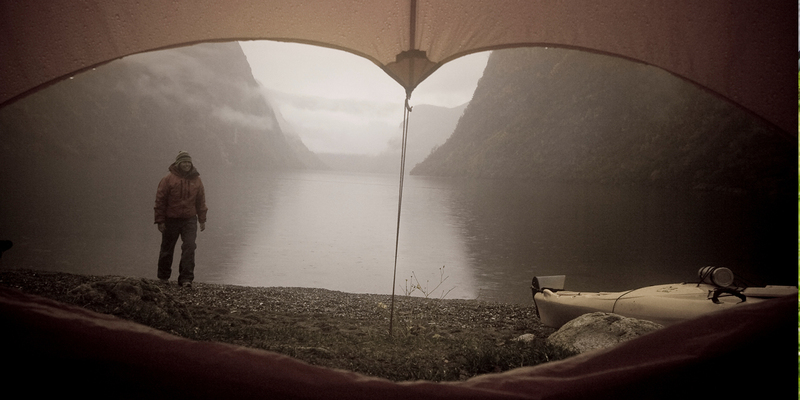 You meet up in Flåm, from there we drive to the startingpoint in Solvorn and paddle along or across four fjords. All of them spectacular and beautiful. We end the tour in the amazing Naeroyfjord. Where do we end? We finish in Gudvangen by 16.30 on the last day. During these five days we will visit the Urnes Stav church, dating back to 1135 it is the oldest in Norway. 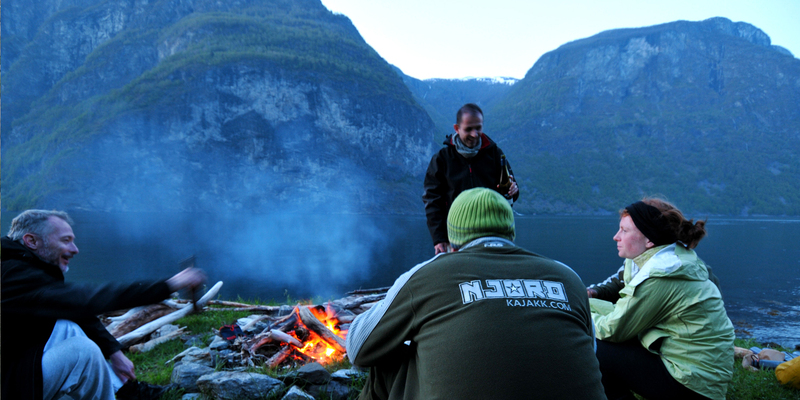 We will spend a night outside the old Viking trading town Kaupanger and hike to the top of one of the mountains along the Fjords. 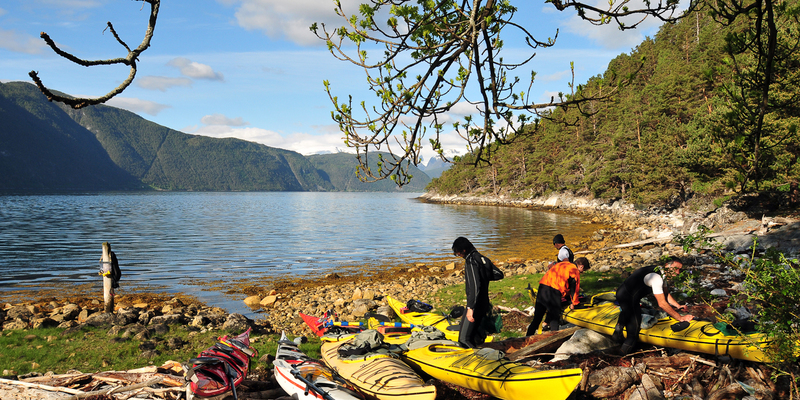 On the trip we will paddle along untouched fjords and small communities. 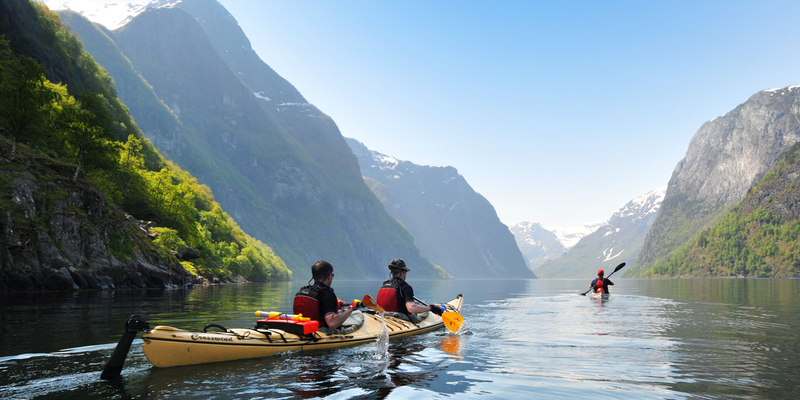 From the tranquil quiet Lustrafjord to the busy Sognefjord into the internationally renowned UNESCO-listed Nærøyfjord. We paddle with a fishing line trailing us. Maybe we catch our dinner? The dramatic scenery will give you a unique experience of the powers of the glaciers cutting their way trough the mountains. On the way we are certain to spot otter, eagle, fjord porpoise and seals, hopefully all of them. All you need to bring is warm clothes, waterproofs, a sleeping bag, sleeping mat, hiking booths and a small backpack.Pack light! All should fit inside a small kayak. You can leave the rest of your gear at our base. Some previous kayaking experience is a requirement, this is not a tour for complete beginners! 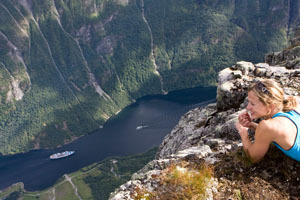 The Fjord Fantasy tour is scheduled in the summer time and may be arranged on special request, min group 6 persons, max 8.